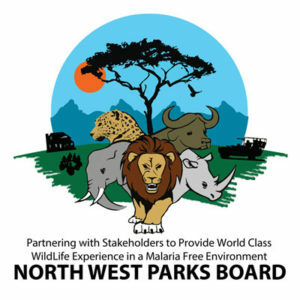 The vision of the North West Parks Board is of a growing economy that creates jobs, alleviates poverty and protects the environment. Its mission is to direct and develop nature conservation in a manner that uplifts the people of the province. The Board’s objective is to ensure the establishment, development and efficient management of a network of formally protected areas in order to conserve indigenous biodiversity, representative samples of natural ecosystems, and habitats of critically important threatened species. The goals of the Board are: conservation; sustain and increase land and critical ecological systems under conservation, as per world parks congress resolutions and other international protocols as they affect the province; elevate and expand conservation skills development programmes, in line with the National Skills Development Strategy; facilitate Black Economic Empowerment (BEE) and PDI investment in conservation, and increase the group asset base and future sustainable income; corporate governance; entrench a culture of compliance and financial efficiency in the organisation; stakeholder management; build a caring organisation that is sensitive to the interests of all stakeholders; partnership; build strategic alliances with relevant partners to achieve goals; and a democratic workplace; and democratise the workplace as required by labour market legislation and policies.